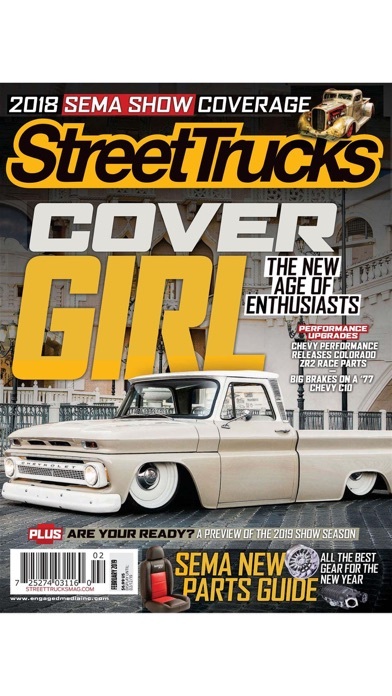 Street Trucks magazine is the leading authority of performance and style for the custom truck enthusiast. 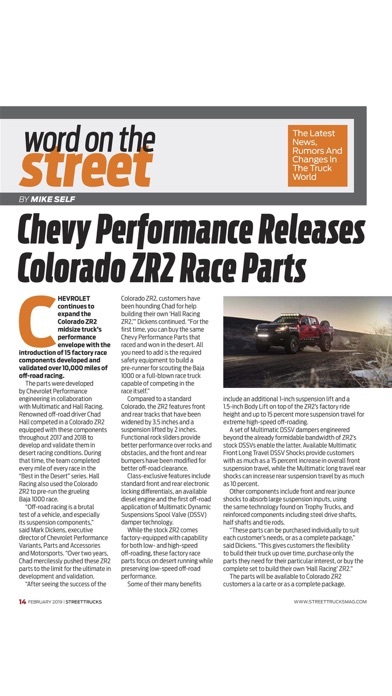 It is the only custom truck publication to showcase the entire spectrum of classic, late model, mini and lifted trucks in one package. 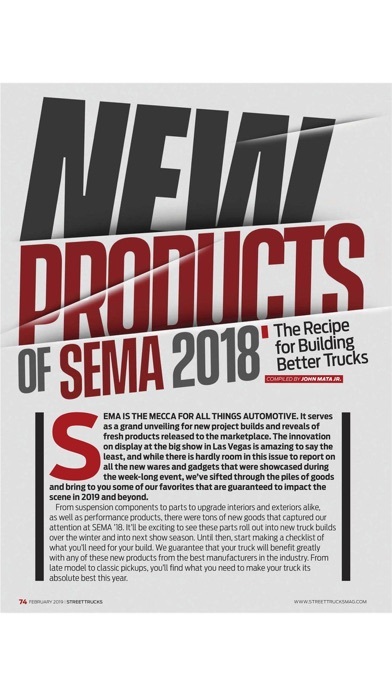 With a “something for everyone” philosophy, Street Trucks features the latest news and updates, brilliant images, the hottest aftermarket parts and accessories, worldwide events coverage, popular styling trends, driver safety tips and industry profiles. 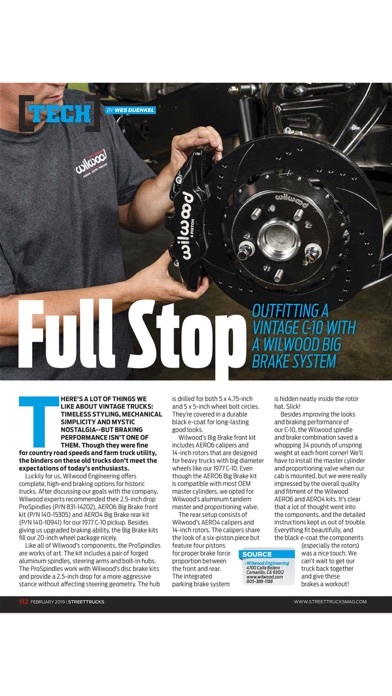 The Street Trucks App offers the best digital magazine experience for trucking enthusiasts. 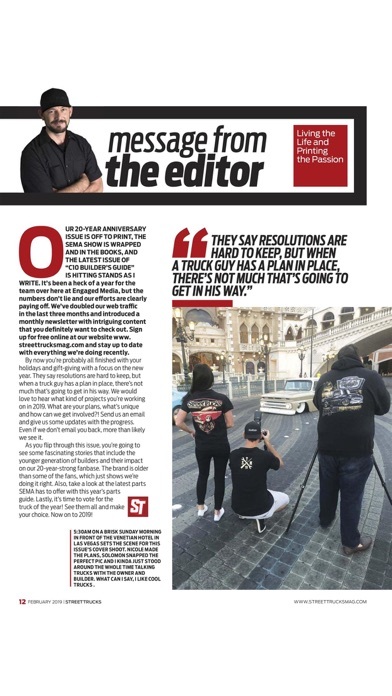 Download the free app and sample a few articles before you get the magazine subscription.Street Trucks provides in-depth technical articles geared towards providing inspiration and education, feature trucks, new product guides, event coverage and industry profiles. These articles not only educate readers on the products available but also help to provide the knowledge and techniques needed. Street Trucks showcases a wide variety of custom trucks each month including everything from show winners to daily driven customs. Be informed and entertained while you get a 360-degrees perspective of the custom truck industry.